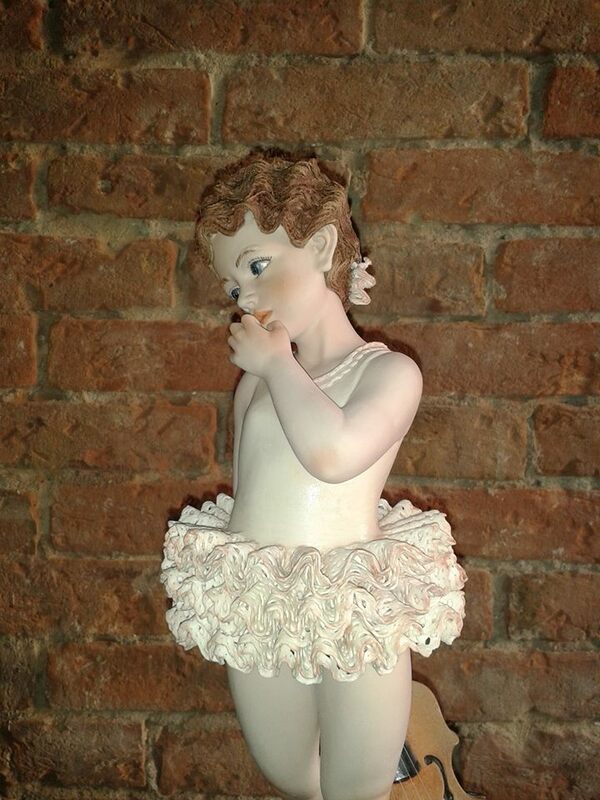 Girl porcelain figurine, porcelain sculpture depicting a little girl, Alphonsine, height 36 cm (14.17 in), Wonderful porcelain sculpture, entirely handmade in Italy. 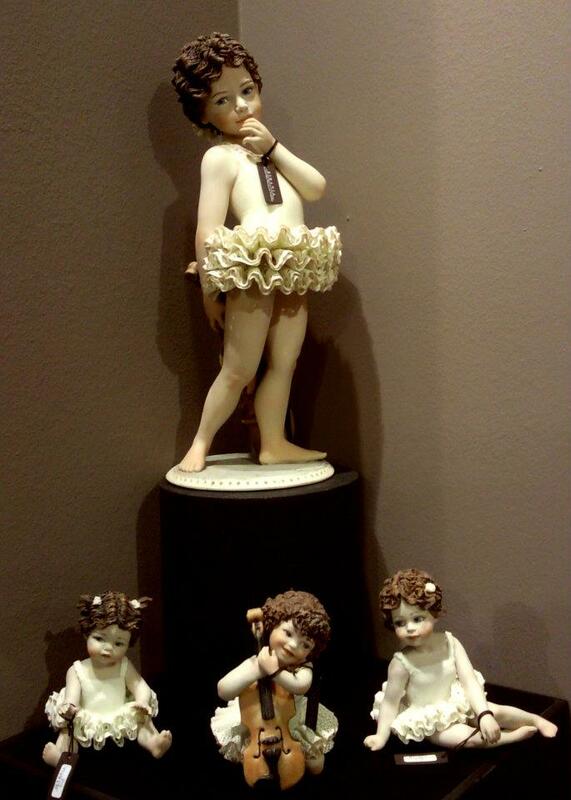 Porcelain sculpture depicting a little girl, handmade enamel, hair, clothes, all porcelain. -Height: 36 cm (14.17 in). 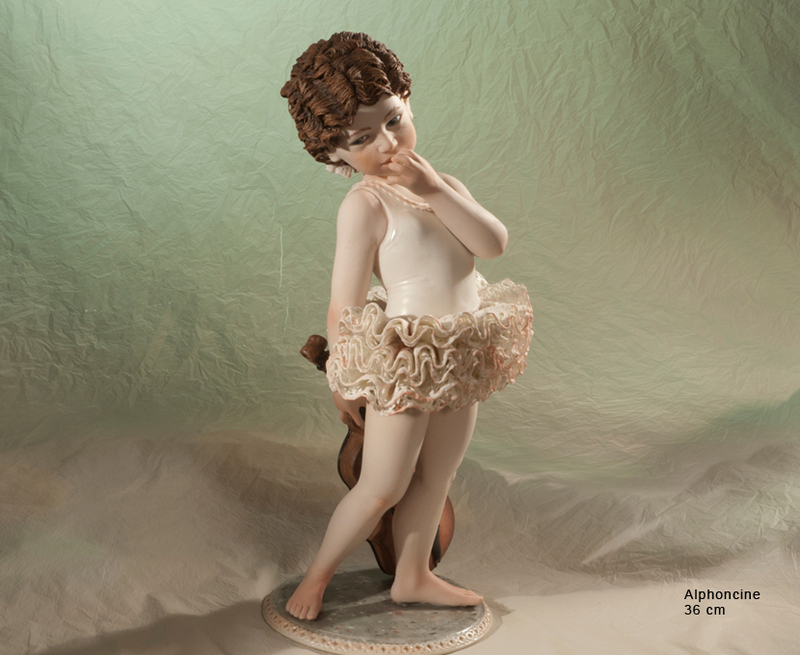 -Title: Alphonsine - Girl Porcelain figurine.